Dip the eggs in boiling water for a few seconds and remove. Break the eggs in a bowl. Beat them well. Add milk and sugar, and continue to beat the mixture till it thickens slightly. Add vanilla essence, nutmeg powder, and mix well. 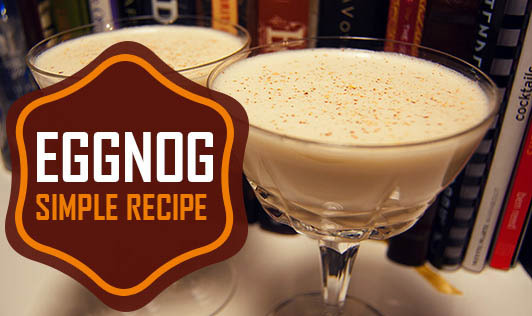 Traditional eggnog recipe calls for addition of brandy and cream along with the above ingredients. You can try variations, if you wish.